Kali Gandaki River, locally known as the Krishna Gandaki River, is one of the four major rivers in Nepal. 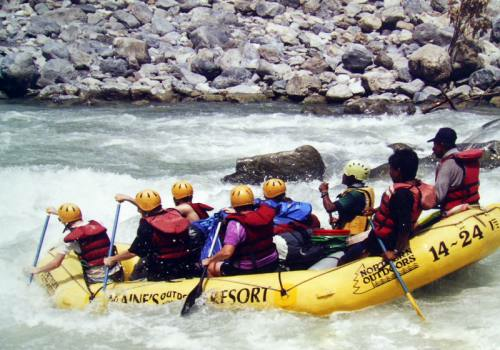 Our Kali Gandaki River Rafting package takes you down the river surrounded by barren and rocky terrain towards the open valley. Kali Gandaki is one of the world’s deepest gorges, originally carved down from the grand Dhaulagiri and Annapurna mountain ranges. 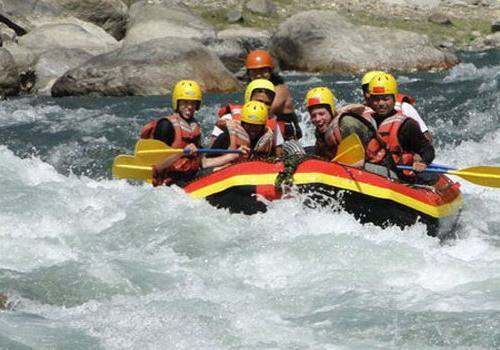 Kali Gandaki River Rafting with ‘Adventure Himalayan Travels and Treks’ is a 7 - day long package which initiates by driving to Nayapul from Pokhara. 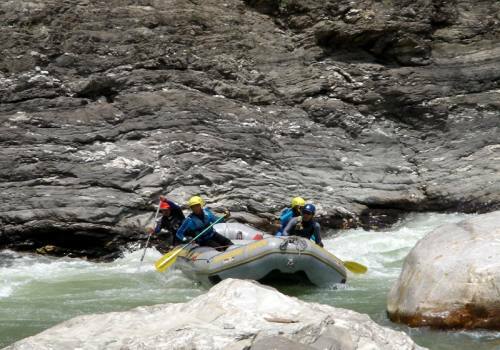 Then, a short trek from leads us to Modi Khola, marking the start of rafting in Kali Gandaki River. 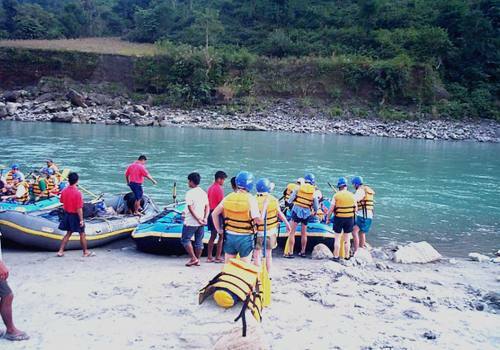 We will undergo a series of ups and downs and face bravely the bends before wrapping the rafting gears up at Mirme and driving back to Pokhara. 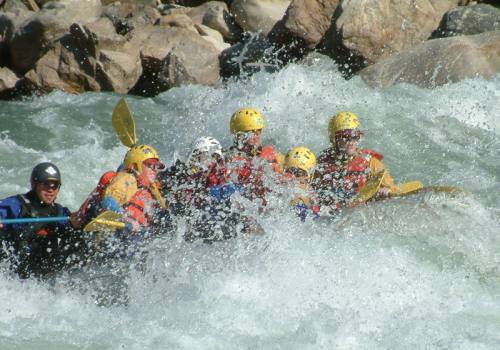 Kali Gandaki River Rafting is the best rafting route in Nepal, where both amateurs and veterans can have adrenaline packed journey through turbulent rapids and sharp bends. 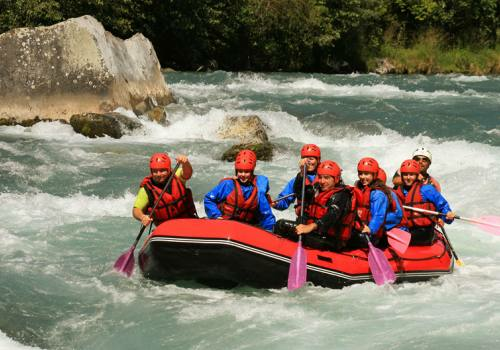 It is a medium length river trip into the sparkling white water in the Annapurna region. Emergency evacuation, things of personal use, client insurance. Day 01Arrival in KathmanduUpon your arrival at the Tribhuvan International Airport in Kathmandu, the Adventure Himalayan representatives will pick you up and transfer you to the hotel. After refreshment, you will be briefed in short about your excursion by our guide or tour leader. If you have any questions or doubts about your trip then they should be asked and clarified at this time. Overnight stay at hotel. Day 02Drive from Kathmandu to PokharaA journey of 6-7 hrs with the scenic beauties of mountains, paddy fields and villages along the Prithvi Highway will lead us to the miraculous Lake City of Pokhara. You can explore as you please the rest of the evening. Overnight in hotel. Day 03Drive from Pokhara to Nayapul, Trek to Modi KholaWe drive for about an hour to cover 70km distance to make it to Nayapul. From here, we trek towards Modi Khola, where the rafting will begin. We will pitch our camp at the bank of Modi Khola overnight. Day 04Raft from Modi Khola to Purti GhatOur first official day of rafting begins from a point that give us spectacular views of Annapurna I and Hiunchuli. We are filled with adrenaline because of the wild experience of encountering several rapid turbulent. Overnight in tented camp at Purti Ghat tonight. Day 05Raft form Purti Ghat to Mirme, Drive to PokharaWe will proceed through the gorgeous village of Seti Beni all the way to Mirme, enjoying the rush of floating through the bending and turbulent waters. We will take a bus from Mirme back to Pokhara. Overnight at hotel. Day 06Drive from Pokhara to KathmanduWe drive back to Kathmandu along the same route, Prithvi Highway, getting a second chance to take in the beautiful views. Farewell dinner in the evening. Overnight at hotel. Day 07Departure from NepalWe will transport you to the airport. Thanks for trekking with Adventure Himalayan Travels and Treks. We look forward to seeing you again!